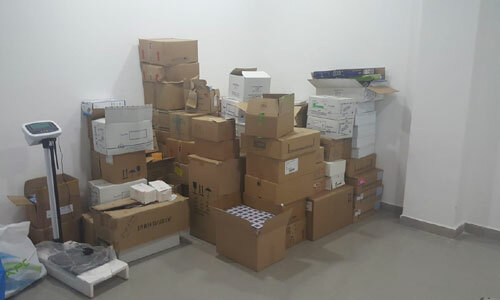 Kuwait Ministry of Health Monday announced a closure of a medical complex in Mahboula Area because it was not licensed, seizure of all medications and referred owners to prosecution. A team from medication inspection department went to the medical complex, which consisted of a clinic and a pharmacy, after obtaining a warrant from the prosecution to seize all medicine, Dr. Abdullah Al-Bader, MoH's Assistant Undersecretary for medication and food inspection, told KUNA. The MoH, he said, was keen on strictly following health criteria to provide proper medical care for the public. The ministry, added Al-Bader, was carrying out regular inspections to make sure medical facilities were complying with health laws and regulations. Awsome.... cheers to MOH.. Good job..